Worried you might have left the heat on at your home? Not sure if you closed the windows before you left for the weekend? 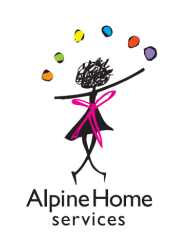 Don’t worry, let Alpine Home Services worry for you. A caretaker will check your house and secure windows, lock doors, check for leaks, water the garden in the summer or turn off the water in the winter if needed. Additionally, we will expedite annual maintenance such as changing your fire alarm batteries and hot tub filters. Or anything else you can think of to help you feel more secure. Cost for Caretaking Services is $35 per visit.